I hope you all are doing your best. From last one month, I was so busy in my new job and classes after that, that I didn’t have time to even take a breath and I am not exaggerating. You can imagine I would leave my house early morning and would only get back home till it’s dinner time. This whole tiring and back breaking schedule made my skin dull, tired and very much prone to acne as I didn’t have time to take care of my skin. 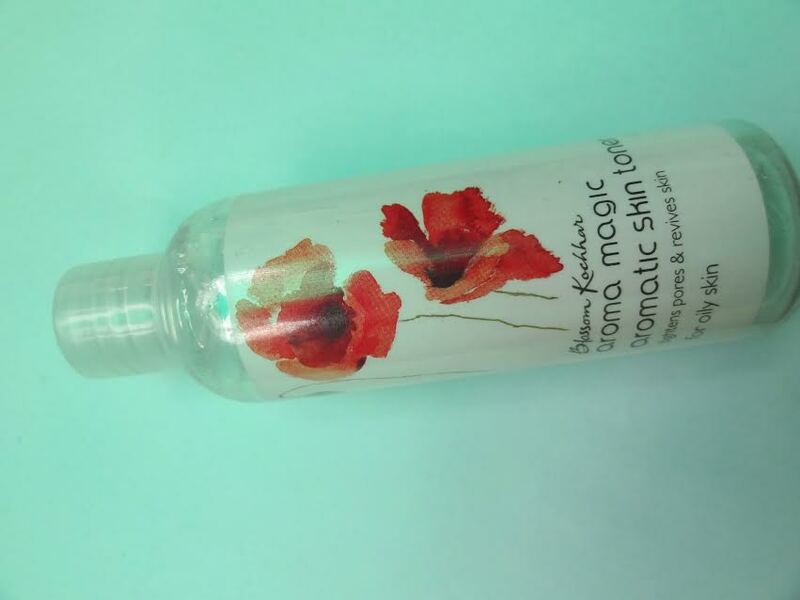 So, today I am going to review one of the important parts of my CTM routine that has become my current favorite – Aromatic Skin Toner by Aroma Magic. 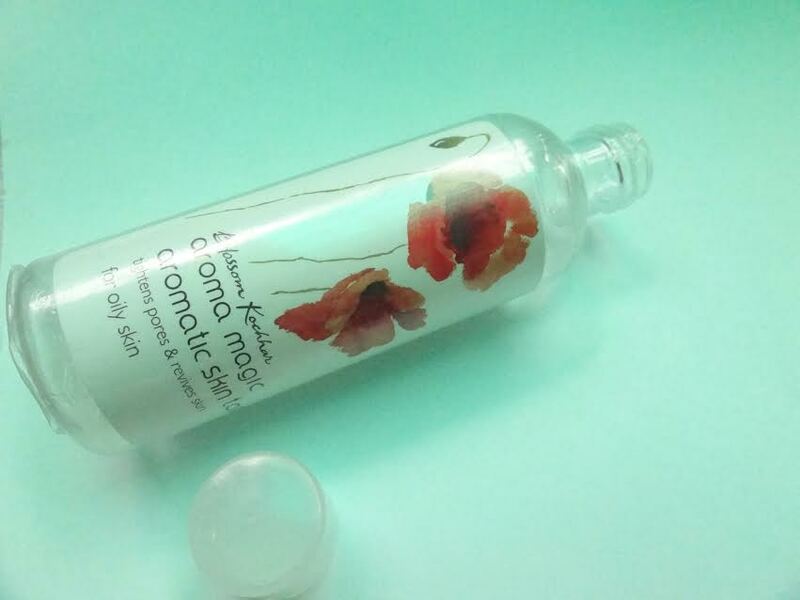 This toner actually worked for me in keeping my skin hydrated and fresh. A lot of people skip toner but being blessed with a combination skin I understand its value. I am 100% free of alcohol, paraben, petrochemicals, phthalates, artificial fragrance and color.I am special formulation intended to clean and tone the skin without drying out the skin. Extracts of pomegranate together with lavender and peppermint heals, renews the skin cells and increases circulation in it. Witch hazel prevents moisture loss while the essential oils if rosemary and ylang ylang act as natural astringents that clams and balance the skin, delivering vital nutrients and vitamins to the skin. You will find your skin looking healthier and toned. Spray onto face directly or on a small piece of cotton and dab onto face. Avoid the eye area. Use me morning and night after cleansing. Follow it up with the oily skin oil. The product comes in a long, cylindrical, transparent sturdy plastic bottle with a transparent flip-cap. All the details about the product, its name, its claims everything is mentioned on the white label. You can keep a check on the amount used due to transparent bottle. The packaging is very simple. The 200 ml is quite big, so it’s better to transfer the product in small travelling bottle if you want to carry it. The flip-cap is tight, which ensures the product does not leak and creates a mess. The product does not a have a spray nozzle, which is a minus point for me as they talk about spray nozzle in their “how to use” description but they are not providing one. The consistency of the product is just like water, it feels like you have applied water on face, it does not make face sticky after usage or anything like that. It has a flowery fragrance which is not too strong and it fades after a couple of minutes. I hardly repeat products because I believe in trying out new products that are available in the market. But it’s the second time I am buying this product, which shows how much I loved its performance! The best part is the toner gives awesome results at the fraction of the cost. The product is very light weight. It does not leave any residue after use; it completely gets absorbed into the skin. The best away to apply this product is taking it on a small amount of cotton and applying it all over face. It removes the traces of makeup, which are left even after cleansing. This product provides hydration to face and makes it look fresh and alive. The product does tightens the pores, which are quite prominent near my nose area but the effect is not permanent, it lasts for few hours only. It does not lighten pigmentation or helps in controlling acne. The best the product does is, keeps the skin clean and as a matter of fact, it’s the best way to avoid acne. However, if you’re prone to excessive oily or acne prone skin, you know how acne pops sometimes out of nowhere despite your best efforts to keep the area clean and grime-free. Another good thing, the product is not at all drying, it may cause some dryness for dry skin beauties but it works wonderful for oily skin. It does not rip off excess moisture from face. It is alcohol free which is a plus point as alcohol tends to dry out the skin. It surely gives a refreshing and healthy looking feel to the skin. It is very effective for summers as it keeps oily skin in control and it keeps the skin hydrated. But if you expecting this product to keep oil secretion on hold for hours, you are in for some disappointment as the product isn’t as effecting in controlling oil production for long hours. I use it morning and before going to bed in night after cleansing my face and then leave it for a couple of minutes, so it gets into my skin properly. After that only I move to moisturize my face. If I talk about the price, costing Rs. 100 for 100 ml bottle, the product is definitely very affordable. Also since, I’m using the bigger 200 ml bottle that lasts for a few months, the product indeed gives more value for your money. -The product tightens the pores. – The product keeps the skin hydrated and fresh. – The bottle is alcohol free and does not contain harmful chemicals. – It is very cost effective. – It does not rip off moisture from face. – It is very light weight. – It easily gets into skin and does not leave any kind of residue behind. – It contains essential oil which is very good for skin. -The packaging is very plain. – It does not have a spray nozzle. – It is not travel friendly. 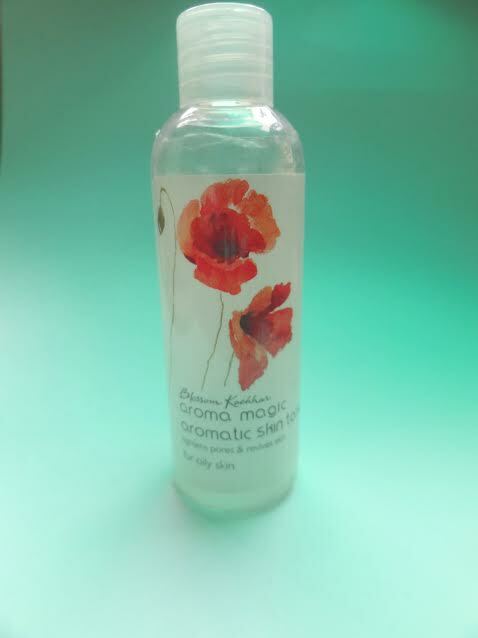 Overall, I really liked Aroma Magic Skin Toner and no wonder have repurchased. I would definitely recommend this product to everyone with any kind of skin – oily, normal, combination or dry skin because I feel each skin needs hydration and this toner provides just the right amount required. It is easily available in market and online too. It is very effective in controlling oil secretion and keeping the face fresh. It is alcohol and chemical free and in today’s world where everyone is running away from chemical filled products this toner is a good option. It is very mild yet effective toner for summers and everyday use. Nice work dear. I lv this product and the way you HV written so beautifully.